Things You Need To Know: What is the Difference between Enamel vs. Acrylic? Enamel and acrylic paint both have lots of uses. 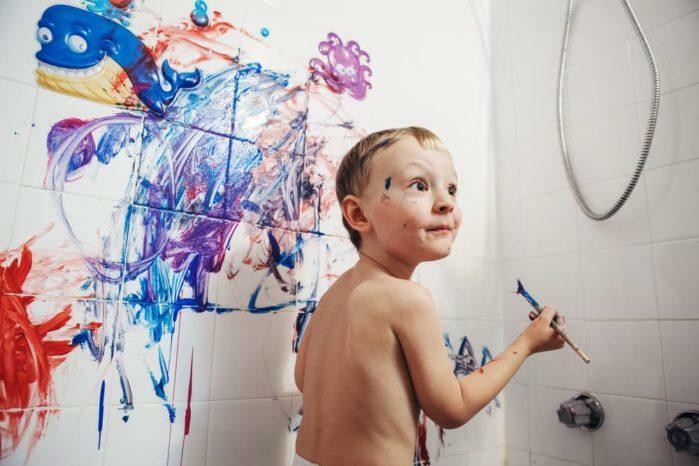 It can either be for arts, crafts, home repainting or even car painting; both have their strengths and weaknesses. That is why it very important that you know the difference between enamel vs. acrylic. It can help you determine which one you should get, depending on the nature of your project or your purpose. Today, we will talk about the differences between the two and where they are suitable to use. Just as mentioned earlier, there are plenty more other uses for Enamel and Acrylic paint than just art on canvas or paper. For enamel, it is best suitable for surfaces that need some extra coating or hard finish, such as outdoor walls, wood, and others. It is for surfaces often exposed to extreme weather conditions, or temperatures need this particular kind of coating to survive. But on the other hand, acrylic paint or polyvinyl acetate (PVA) is usually used on outdoor signages, architectural or public murals and the like. So before splurging on enamel or acrylic paint, identify first the nature of your project. Which category should it fall? What particular kind of coating do you need? Now, you may know what both paints are for, but that doesn’t help find out the difference between the two. And so to answer that question, here are some key differences between enamel and acrylic paint. Enamel is an oil based paint which dries off to a hard glossy finish. Due to this, it (polish lacquer) is also used to varnish wood and make it waterproof or rot-resistant. Unlike other types of paint that still need a glossy finish as a final layer of coating, you do not have to do this anymore with the enamel. However, it has its advantages and disadvantages. Just as mentioned earlier, enamel finishes into a hard glossy coat, leaving no traces of brush strokes at all. You can also apply it without using a primer. It can be easily removed using spirits but is also washable. That makes it ideal for use in kitchens or bathrooms. Do take note though that enamel takes pretty long to dry up. Sometimes it can even take up to 24 hours. Also, the oil tends to separate from the paint when stored for too long. But most importantly, it can be pretty toxic compared to acrylic. It gives off fumes which are why it is advisable to work in a well-ventilated area when using enamel. That is where acrylic paint comes in. 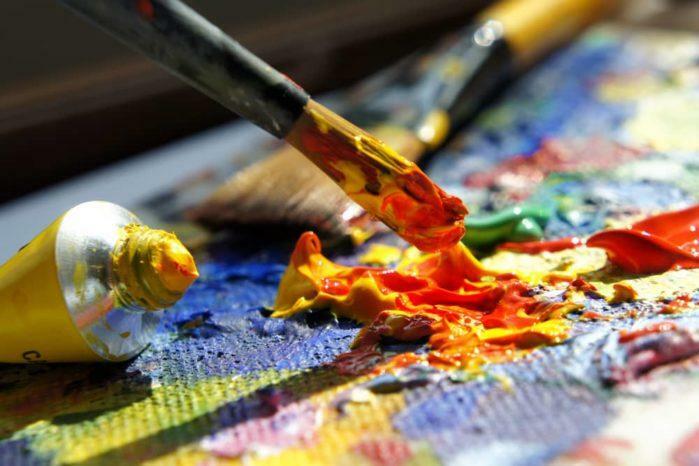 Acrylic paints in general, are less toxic than paint. Acrylic paint is a water-based paint, making it water and ultra-violet resistant. Unlike enamel that dries off to a glossy finish, acrylic dries off with a matte finish. That can, later on, become layered with gloss as a finishing coat. ​​​​​Although today, some brands are now offering a special acrylic that also delivers an enamel finish. These are significantly friendlier to the environment compared to your traditional enamel paint. Now, this might sound like a nicer offer to you, but it is also important that you take note of its disadvantages. Acrylic paint, unlike enamel, doesn’t give as much coverage because it is water-based. Therefore, it might need a little bit more coating to achieve an individual depth of color (especially if you prefer a darker, more solid shade). Consequently, its moderate coverage also means that it can leave on brushstrokes. You’ll also be needing a primer before applying the acrylic because it doesn’t adhere well to surfaces that are very smooth. Lastly, it is tough to remove but tends to peel off over time. So before you pass down any judgment, be sure to carefully weigh the strengths and weaknesses first of each type of paint. How will these strengths and weaknesses affect the outcome of your project? 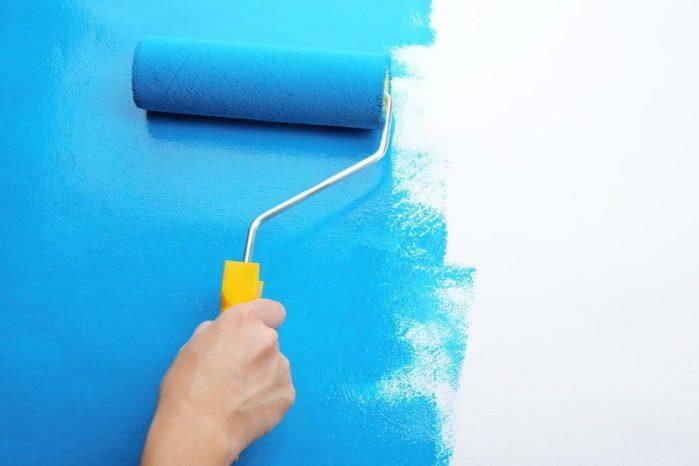 Aside from knowing which type of paint to use, it is also important that you know how much amount of color you will be needing. If you are painting a pretty large surface, then be prepared to spend a little bit more. ​​​​​For instance, if you’re painting a wall, then you might need more than just one can of paint for the whole project. Also, keep in mind that you might need a primer or gloss for before and after painting. Moreover, the type of brush you will be using for the project is also critical. You cannot just use a regular brush if you want to cover more area. Likewise, if you will be painting hard to reach areas, you cannot just use big brushes or roller brushes. Most importantly, do not forget to prepare the surface. 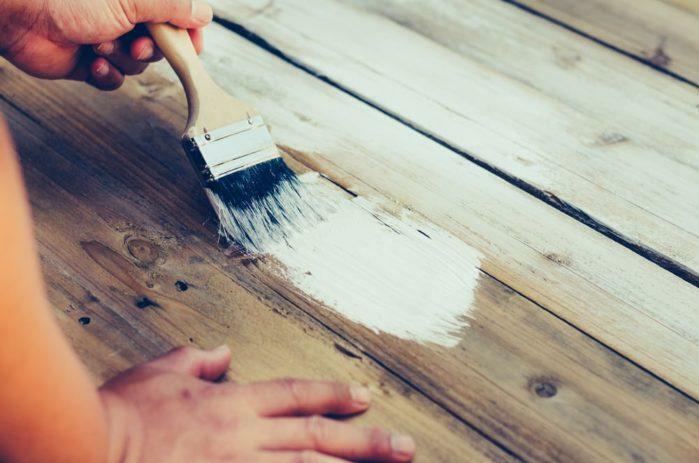 Preparing the surface for the type of paint you will be using will help the paint adhere easier and faster while lasting longer. So if you still have to scrape off some previous paint or apply some primer, do not skip the process. The preparations are as important as the painting process itself. It is up to you whether or not you will use enamel or acrylic. You know your purpose and the nature of your project best. Therefore you also know what the needs are. However, do not be afraid to experiment with both types of paint. Some even try mixing both the acrylic and enamel. For all you know, experimenting with the two varieties might even create a better type of paint for you.